Today, Epic announced a bunch of key changes and most seem like they prevent people from breaking builds as easily. Before changes to the planes, Deagle and RPGs some Fortnite players were looking for other ways to improve building. This concept from SickNastyMixes would allow players to upgrade their builds into more sturdy versions of the same material. This is a concept that already exists in Save the World but could also make sense in Battle Royale. In STW the upgrade just takes time to improve the wall but that wouldn’t be as effective in BR because players may be better off resetting the wall than spending a while upgrading it. Instead, the walls could be mats based. Each upgrade could cost 10 more mats. 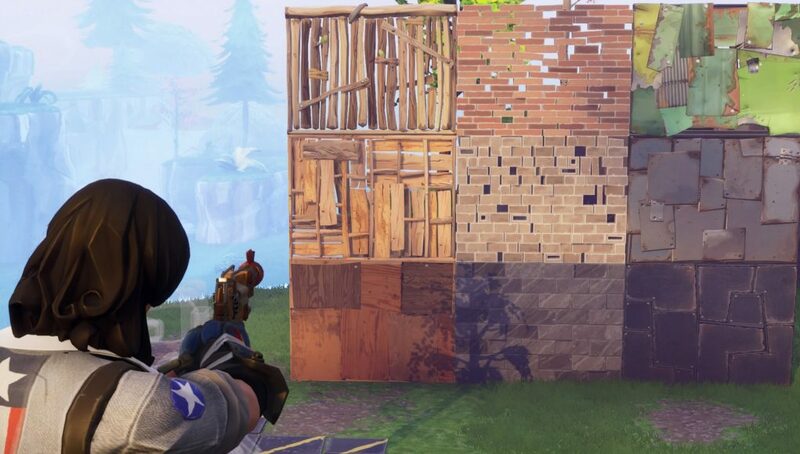 A player could be able to just place an upgraded wall immediately for the added mats or they could have to manually upgrade each section of the wall. Either way, this concept would add another layer of strategy as mats would become more valuable and empty quicker. Build specialists would have a field day trying to figure out the most important sections of a build to upgrade and new personal strategies would likely be born out of this concept. There would probably have to be a change for squads because the added group mats would make upgrading a more standard practice. For Duos or Squads the upgrades could scale and be more expensive depending on the game mode. Is this is a concept you want to see in Fortnite? Or are the changes to the weapons and vehicles enough of a buff to building?